Professional music directors of Mix Music, who know what fun means very well, enable organizations to be full of joy and entertainment with their special sounds that resonate in our ears and minds. You will have the opportunity to have a special meeting with the professional music directors prior to your organization and discuss about the themes and music regarding your event, which songs you wish to hear, your preferred music genre in line with the concept of your event, which nostalgic or hit songs will be played and when – in short, anything you request will be scheduled beforehand and all you need to do will be to wait for your special night to come. Born in August 14, 1980 in Bursa, Ersan had a childhood during which he always played with records and cassettes and discovered his interest in music at an early age. 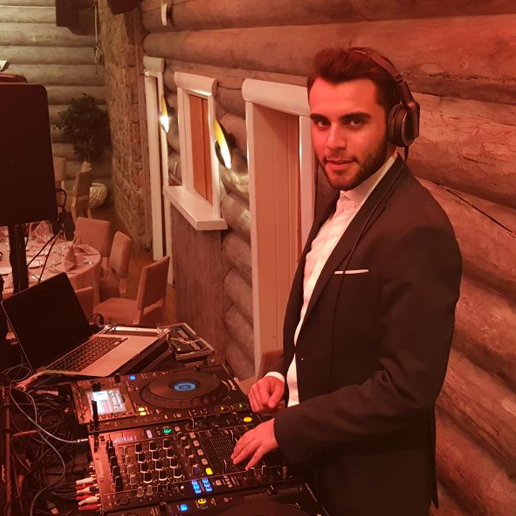 After finishing high school, he registered to the open education faculty of Anadolu University and worked hard to learn about being a disc jockey by going to the clubs in Bursa. He started his resident DJ career in 1998 at a club called Adrenalin in Bursa. 3 years later he worked at Boo Bar, where he worked for 8 years as a Resident DJ. He played at Alkoçlar Sport Hotel in Uludağ for two winter seasons and worked at after-ski parties. 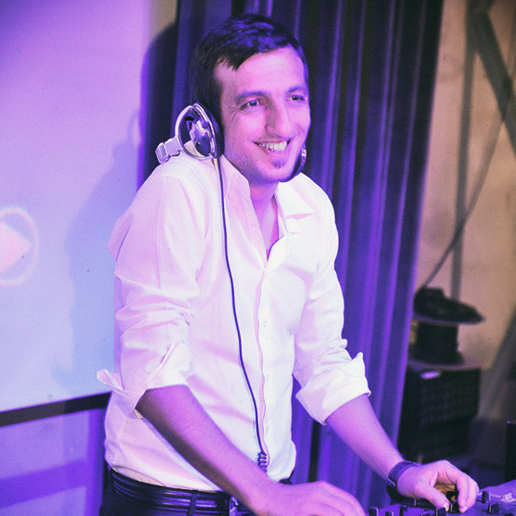 Ersan started to work at Mix Music in October 2010 after deciding that real night life exists in Istanbul. Ersan has been working at Mix Music as a music director and organizer since 2010 and he continues to give successful performances all abroad the Turkey, in France, in Italy, in The Netherlands, in Greece and in Ukraine at numerous weddings, parties, birthday celebrations, Bar and Bat Mitzvah events since then. 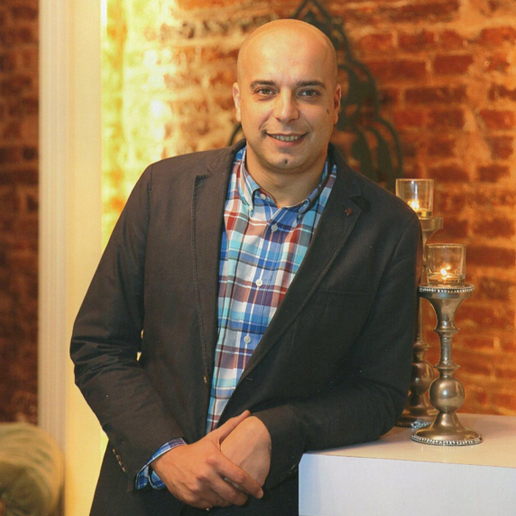 Born in March 12, 1978 in Istanbul, Hayati started to discover his interest in music at an early age with the long-player that his father brought him from abroad. He proved his passion for music and entertainment in high school by organizing parties for his friends. After graduating from the department of business at Marmara University, he started to work as a professional in 1996. In 1998, he started working in Escobar and Sherlock Holmes, which were the most significant night clubs in Istanbul. Later, he worked as a DJ and as a music director at Babylon Lounge Party Nights for two years. He especially became famous after playing music in various events in New York, Tel Aviv, Dubai, Milano, Sofia, Mexico City and Odessa. 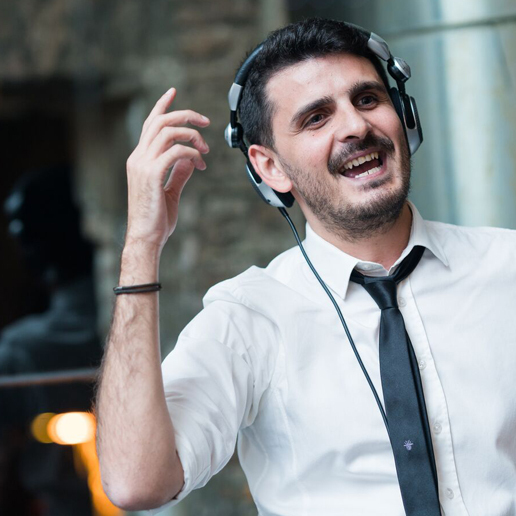 As of early 2000s, he started to work as a DJ and a music director for well-known tourism companies in Turkey. He made a special position for himself in the wedding and event sector with his “only fun” motto and his groundbreaking sets of music. He transferred to Mix Music in 2015. 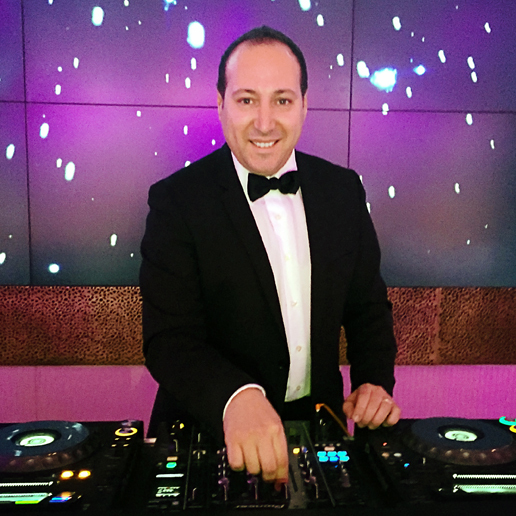 Hayati continues to work as a DJ in various business, arts, sports and celebrity organizations with his 20+ years of experience as a part of the most entertaining, elegant and exhilarating events organized by Mix Music. Since high school years Murat Turgut is DJing and producing in great passion. At the age of 15 he released some EPs to the labels and started to show his face to electronic music lovers in Istanbul club scene. He is performed at lots of big venues and events. . He prefers to play eclectic sets to give the right energy to the dancefloor. He performed for the exclusive events all abroad the Turkey, in France and in Italy. He also performed with heavyweight artists such as Monkey Safari, Andhim, Kotelett & Zadak and Oliver Koletzki. Currently he is one of Mix Music’s performer team and music director and also studying audio engineering. The first step in 1979 to music, Donna Summer, Dalida, Raffaella Carra, Boney M, Osibisa. Julianas and many places in Swissotel, Istanbul and hundreds jet - set party and special events took place, known to work with the operators, Guest, and was Resident DJ. OXXO stores, music director for eight years. In addition, THY, YKM, Ulusoy, Varan contributions to institutions such as the infrastructure has provided the music. 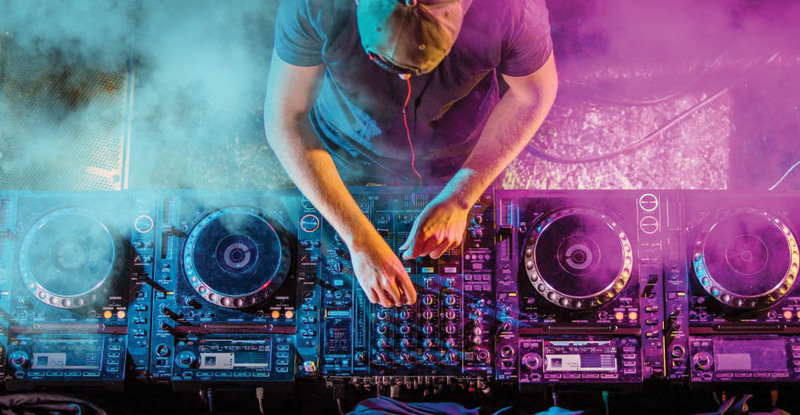 With soloists and musicians with his soulful and electro dance music, live performances, is moving toward successful goals. Mr. Cön, musical knowledge and years of difference in organizations is ready to exhibit maximum performance. A well-spoken, articulate and professional DJ, excellent communication skills and a good sense of timing and co-ordination. Experience of working on clubs, events and as a mobile DJ. Able to stay calm under pressure, work to strict deadlines as well as interact with the guests face to face. A skilled, creative and enthusiastic Disc Jockey with more than thirteen years of experience in the concerned field. Looking for a challenging position to utilize my strengths and experience in a well reputed organization. Demonstrating specialization in playing on all kinds of occasions such as corporate parties, wedding anniversaries, theme parties, birthday parties etc. Taking care of event promotion, stage and equipment set up, etc. Handling the song requests of the guests and playing them at right timing and the desired tones also qualities. Playing all kinds of music genres depending upon the mood and event type. Laying the music according to the theme of the party. The North Bar, S&S Music Maker, Sortie Club, Blackk Club, Bianca Beach Club (Bodrum), Ada Sahil (Bodrum), Ağaoğlu Mandıra (Uludag), Maça Kızı Otel (Bodrum), Mansion Club Istanbul, Emporio Armani Café, Der Die Das, Wan-na Club, Anjelique Club, Morini Istanbul, Halikarnas Club (Bodrum), Madeo Beach Club (Çeşme), Ship A Hoy (Bodrum), L’Eclipse Coctail Bar Istanbul (Le Méridien Istanbul), 16 Roof Restaurant (Swissotel The Bosphorus). 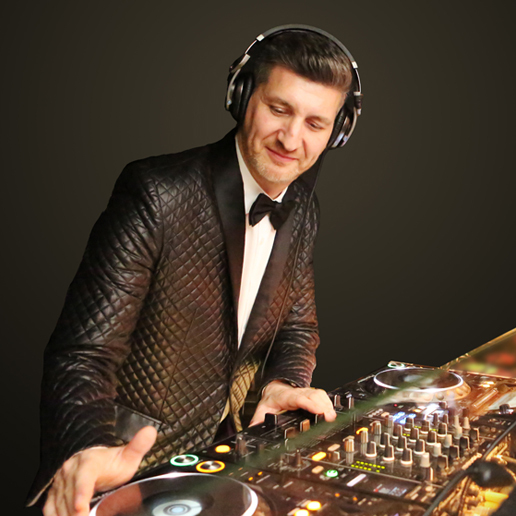 Born in 1978, Enes Çelenk started his professional DJ career in 1993. He worked as a resident DJ at the most distinguished clubs in Turkey such as Hillside, Scene, Havana, Laila, Sortie, Supper Club, Goya. He worked as a DJ in more than 1000 special and corporate events, product launch, dealers meeting and shows up until now. 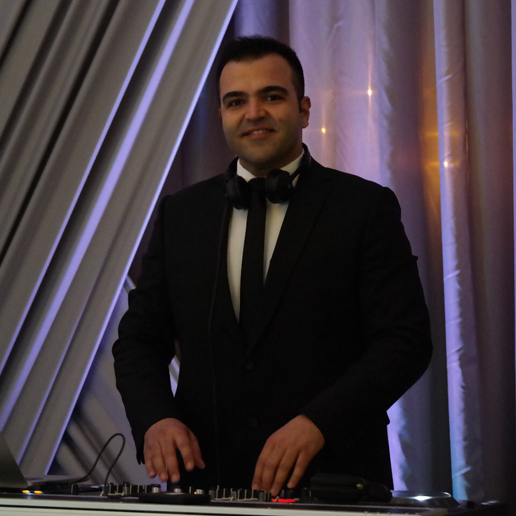 He has been working as successful DJ in many wedding events both abroad and within Turkey since 1999. He has started his professional DJ career at S&S Music Maker in 2002. His energy and excitement in producing music gave him possibility to perform at numerous nightclubs, weddings and events both in Turkey and abroad. From Rome to Venice, from Paris to London, he has been a DJ in many VIP events. As a DJ, he had started working at the first Şans Restaurant. He then worked as DJ and music director at Club 29, Emporio Armani Caffe Istanbul & Bodrum, Reina, Kalua Athens, Bodrum Halikarnas, Margaux, Blackk VIP, Club Nu-Pera/Auf, Billionaire Istanbul & Bodrum and Interni Bodrum. By taking advantage of his experience in the entertainment industry, he has produced famous “Wednesdays Are Hot” parties for W Hotel. 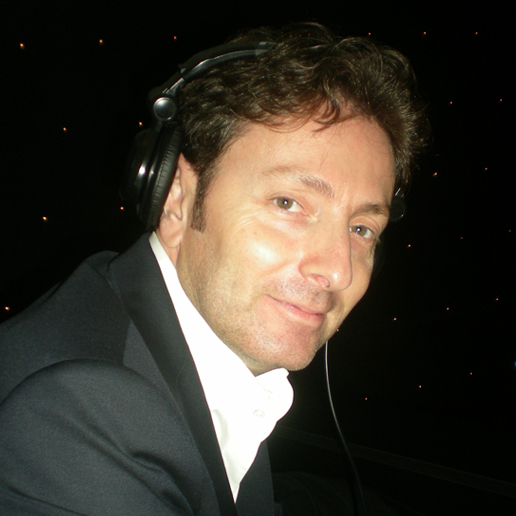 DJ Tolga Saka has also made programs on Virgin Radio. In 2010, when he has started to use Logic Pro, he also has started his music producing career . He produced his Tolga Saka-Spike of Love Remix. 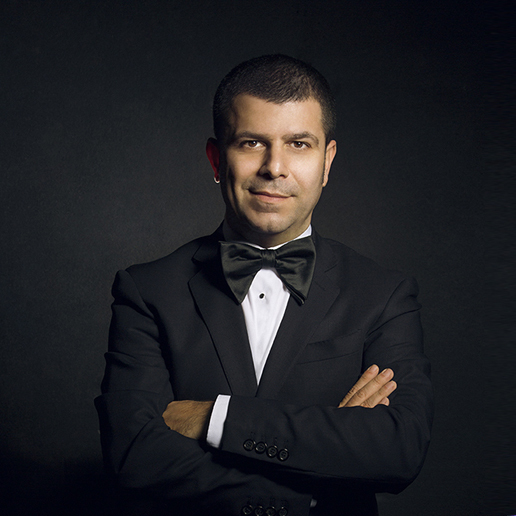 Today, Tolga Saka is one of the irreplaceable DJs of weddings, events and organizations both in Turkey and abroad. It all started when Can was forbidden to touch the newly purchased stereo after he blew the speakers up when he was home alone. Once he had a birthday party at home and realized that he did not give enough attention to music after his friends started to complain about the songs, and he considered their demands. For the next party, he started to follow the hit songs. This pursuit turned into a passion and he later started to buy second hand devices with his allowances and started to record cassettes and become a DJ during his friends’ birthday parties. He even bought a circuit from the electrician’s market and made an amateur radio broadcasting within the scope of their neighborhood. After graduating from high school and working in some clubs and holiday resorts, Can became a DJ at one of the most famous places in Istanbul, namely Pasha, during his university years. During the same period, he decided to delve into music much more and built his own home-studio in order to study on how electronic music is made. In the meantime, he started to compose his own songs. Upon his graduation from college, Can continued to work as a DJ and as a music producer in many popular clubs and bars in Istanbul in order to develop his skills. He started to do music production for the first time by creating two remixes for the band Ayna’s song named “Ceylan” in 1997. Later, he started to work with many famous pop singers of Turkey along with his production partner Murat Tunalı. Moreover, he made the soundtracks of some TV series such as “Savcının Karısı”, “Sevinçli Haller”, “Sıla” and “Kış Masalı”. He developed performances with by combining DJ and musician in order to move being a DJ beyond playing CDs. As a result, he formed a band called “Funkalaturca” together with his musician friends which was later followed by “Groove Gang” and “Chillalaturca” that was played with Turkish instruments. He actively continues to work as a DJ both abroad and within Turkey. I do not have the same story as others do, like “I started to play music at age 5”, but even during those days they say that I would go crazy if they did not turn up the volume of the radio. Music would cut all my ties with the world even at an early age. I started to broadcast at Metro FM and Joy FM which are the first national broadcasts in Turkey. Although I was inexperienced, they hired me upon our first interview as they found me talented. I reached to music-lovers through these programs on the radio with my programs named “Weekend Dance Party” and “Only Music”. Meeting with İzzet Çapa, who is a guru of all places, enabled me to reach popular dance clubs while I was busy with the radio job. I should say that I have made a great contribution in turning weddings and corporate parties into special events with high-quality music concepts. Once my name became popular gradually, I started to work in other cities outside Istanbul as well. For instance, I never forget those three seasons I spent at Caliente Beach in Çeşme. It was an amazing feeling to see thousands of people enjoying themselves and sinking into music that I play on the beach under the trend of the brand new Beach Club concept. I played at various clubs and special parties in New York, Zurich, Sofia, Düsseldorf, Stuttgart, Mexico City and Munich. In the meantime, I had the chance to share the stage with Fedde Le Grand and David Morales. But my main objective was to enter into the real music world and market by taking a one step forward from just playing and putting some music. In this pursuit, I made a remix of the track “Zilli” by Özgün from the album of “We Broke Up (Ayrıldık)” and it was my first production that was seen in music markets. Later, I did the remix of Sertab Erener’s song “Koparılan Çiçekler” from the album of “Rengarenk” and I arranged Demet Akalın’s song “Çanta” from the album of “Zirve”; thus my name became famous in terms of production. I hit the Top 10 lists in 2010 for digital and labeled album sales thanks to these two works of mine. I had a first and only project with David Şaboy ft. Demet Akalın and performed in Istanbul, Izmir, Bodrum, Eskişehir, Antalya, Afyon, Tekirdap and Cyprus. I had the same project in 2011 with David Şaboy ft. Ajda Pekkan. Together with Ajda Pekkan, we went on stage for this performance in Aachen, Germany; İnonü Stadium, Billionaire Club, Çırağan Palace, SuAda in Istanbul and in Izmir. I am very glad to have become one of the DJs that has different audiences because of my sets of music and it is a pleasure for me that you are reading these lines to get to know me better now. For this reason, I continue to work, produce and develop myself in order to maintain the appreciation of my listeners.